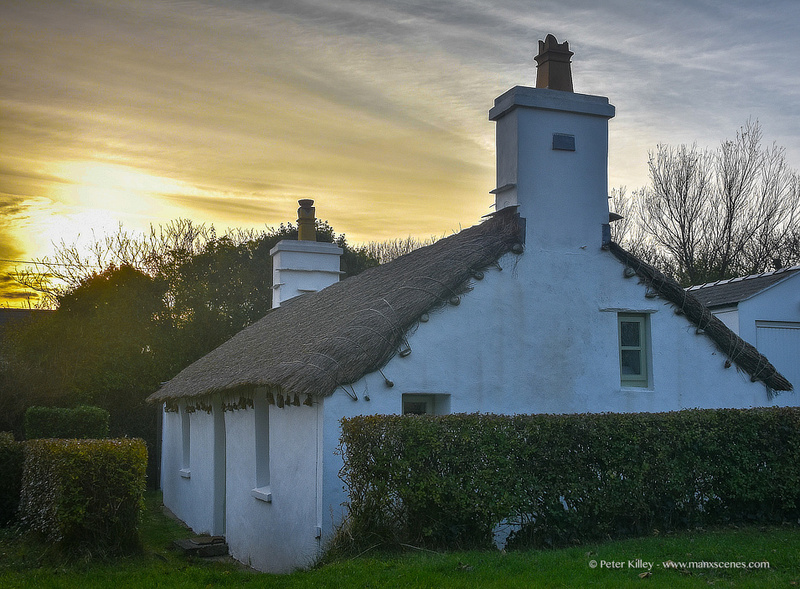 Sunset at this traditional gorgeous old Manx Cottage at the Lhen. A beautiful example of a traditional Manx thatched cottage in Cranstal in Bride. 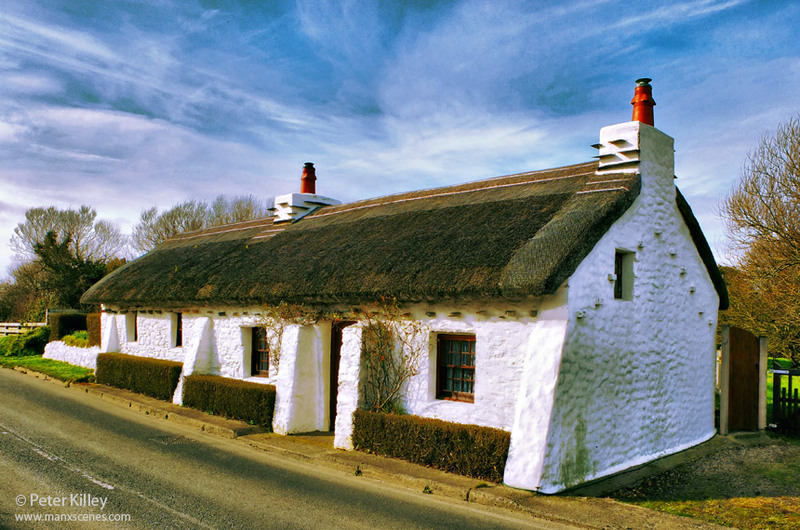 The stones that are protruding below the thatch would have been the tie off points for the ropes that would have then secured the thatch prior to today’s new securing methods..
Perhaps someone could tell us what the protruding slates on the chimney stacks are for as I have seen these on many thatched cottages and wondered what they are for?